Enjoy one-level living in this beautiful open-concept stick-built ranch, featuring 3 spacious bedrooms (split bedroom design), 2 full baths (including master en suite w/ jetted tub), hardwood floors throughout with ceramic tile in bathrooms, vaulted pine ceiling, covered front porch, deck and storage shed. Updated fixtures/lighting. 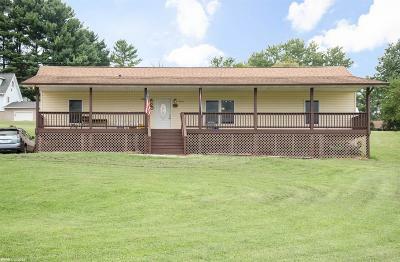 Conveniently located between Christiansburg and Radford, with easy access to I-81.